There is no doubt that Universal’s Volcano Bay will be the water park to visit this summer. While you’ve probably heard about the park’s many splashy rides and the new Tapu Tapu Wearable that virtually holds your place in line, now we’re going to tell you the most important thing of all: how to get to Volcano Bay. Plus, we’ll fill you in on parking, on-site hotels and when exactly is the best time to visit. Volcano Bay doesn’t have its own parking lots. However that doesn’t mean you will be left to fend for yourself. 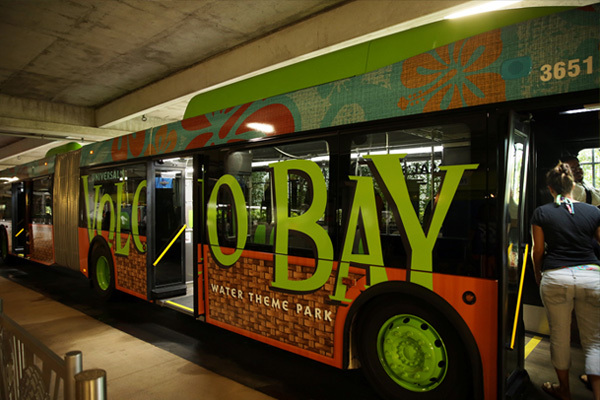 It is recommended that guests park in the main parking structure at Universal CityWalk, and then hop on the shuttle to Volcano Bay from there. This is also your opportunity to book tickets to this all-new water theme park with the Volcano Bay tickets kiosks. Speaking of on-site hotels, if you’re coming to Orlando just for Volcano Bay, we recommend staying at either Sapphire Falls Resort or Cabana Bay. Both are located next door to the park and are within walking distance to the Krakatau Volcano and its many rides. Plus, Cabana Bay’s expansion will consist of two towers that overlook Volcano Bay (it’s that close) providing spectacular views of the park, especially at night. For those who will be visiting all three Universal Orlando parks, staying at any of Universal’s hotels will work, including Sapphire Falls, Royal Pacific, the Hard Rock Hotel and Portofino Bay, where there is shuttle transportation to Volcano Bay. 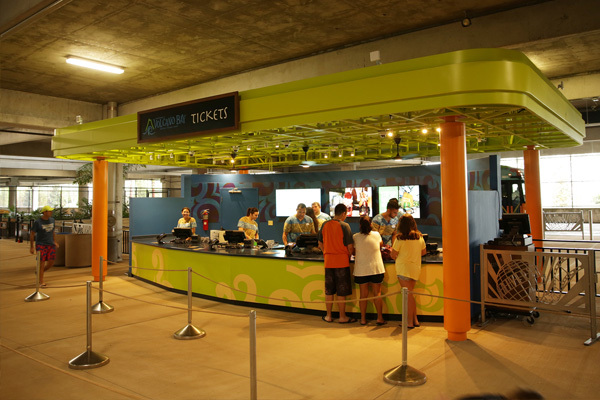 If you are staying on-site, you can take advantage of Early Park Admission, which means getting on the park’s rides and attractions an hour before the park opens. If you are not staying on-site, we still recommend getting to the park early so that once it does open you can scoot right in and begin your day of island fun. To enjoy the new Volcano Bay this summer look for discounted tickets here on Best of Orlando.